The International School of Denver is the place to be every summer! With new options each week, experienced counselors, and camps in English, French, Chinese, and Spanish, your child will grow, explore, and have fun. Join us! We look forward to welcoming you! A New World Awaits Your Child This Summer! Every week at the International School of Denver, your child will explore the world while moving their body, expanding their mind, developing new skills, and forming new friendships. From language immersion to STEAM to athletics, ISDenver Summer Camps has something for every camper. New camp options are offered each week, giving you the flexibility to pick and choose the camps that work best for your summer plans. Whichever ISDenver camp you choose, your child will thrive in a safe and supportive learning environment. Camps are offered in English, French, Chinese, and Spanish, including options like Camp Invention, Movie Making, Hula Hooping and Circus Arts, STEM Challenge, Seed Science, and more! (No prior language experience is required for participation.) Plus, weekly field trips around Colorado! Ages: 3-14 (Camp/Extended Day Workshops) Children attending any 5-and-up camp must turn 5 by the start of that week’s camp. All children must be potty trained. ISDenver Summer Camps run all summer, with camp themes changing weekly. Participants may sign up for the entire summer or pick and choose individual weeks. There are two types of camps offered at ISDenver - Language and Variety. For Language camps, participants will first choose the camp theme, then choose the camp language (French, Chinese, or Spanish). All Variety camps are presented in English. 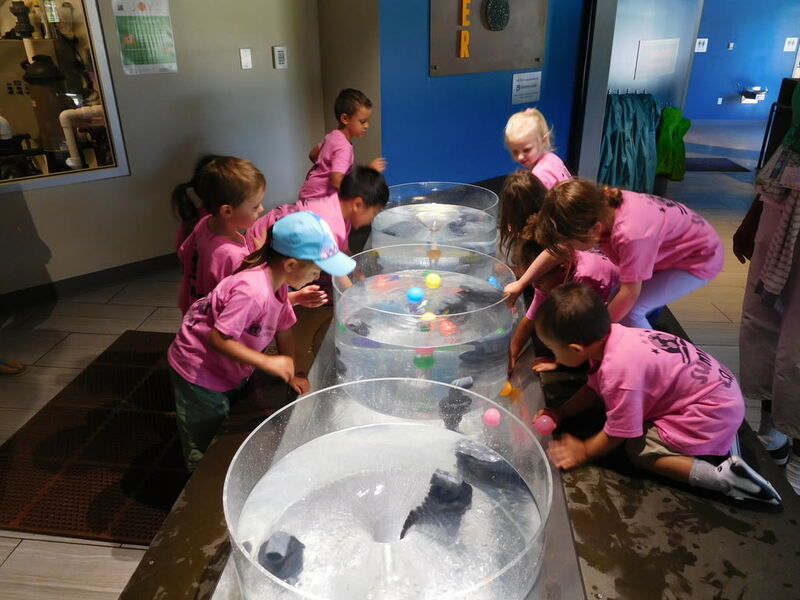 Each camp includes hands-on activities and a weekly field trip that complement the camp theme! This year registration is in DayCare Works (the same site we use for Extended Day School registration). If you do not already have a DayCare Works account, you will first need to set up an account, then log in to register for camps. The standard camp day runs from 8:30 AM - 3:30 PM. Morning Care will be available starting at 7:30 each morning for an additional fee of $8 per child per day. Catered lunch will also be available. After Care is available from 3:30 - 5:30 PM each day for no additional cost. Twice weekly there will be the optional opportunity for students 5 years old and older to visit Cook Park Pool during After Care. Transportation via schoolbus will be provided. All students are required to stay in the shallow end of the pool unless they pass a daily swim test with the Cook Park lifeguards. Alternate care is available on campus for students who choose not to visit the pool. Language Camps will be offered in French, Spanish and Chinese. These camps will be structured using the Project Based Learning framework and the topics will be explored in different levels of complexity in each age group. There will be opportunities throughout the week for the language classes of each age group to come together to learn from each other and from visiting experts. Each Friday afternoon will culminate with a celebration where students will be able to share their learning from the week. Parents are always welcome to attend! The camps showed as spanning Language & Variety will be offered in the languages and in English. Day camps can be canceled or transferred one month in advance with a full refund, and 10 full business days in advance with a 50% refund. Please see exceptions below. Language camps can be transferred with less than two weeks notice when possible. Overnight trips (Crow Canyon and Estes Park) can be cancelled until March 1st with a $75 cancellation fee and until April 1st with a 50% refund. After April 1st there will be no refunds. Questions? Email summercamps@isdenver.org or call 303-340-3647!